Making Persian Basmati Rice with Saffron isn’t as intimidating as one would think especially with these step-by-step instructions and a how-to video. Today’s theme for our Sunday Supper is comfort foods. For many this could be soup or a stew. The word “comfort” brings images of a warm hug, or a blanket to wrap yourself up in as the months start to cool. In our house, our go-to comfort food is basmati rice served with saffron. It is the foundation food in all of our Persian dishes. From kabob to khoresht (stews), we always serve it with this long grain rice. When we are sick, when I want a no-brainer meal, whatever roast or meat I come up with, I typically serve it with basmati rice. I have introduced to my kids brown rice, wild rice and quinoa. They’ve been good sports to eating new foods. But, they have all made it clear, from the kids to the hubby, we all prefer our basmati rice. I make chello, white rice, the traditional way. I clean it, wash it, parboil it and then steam it. 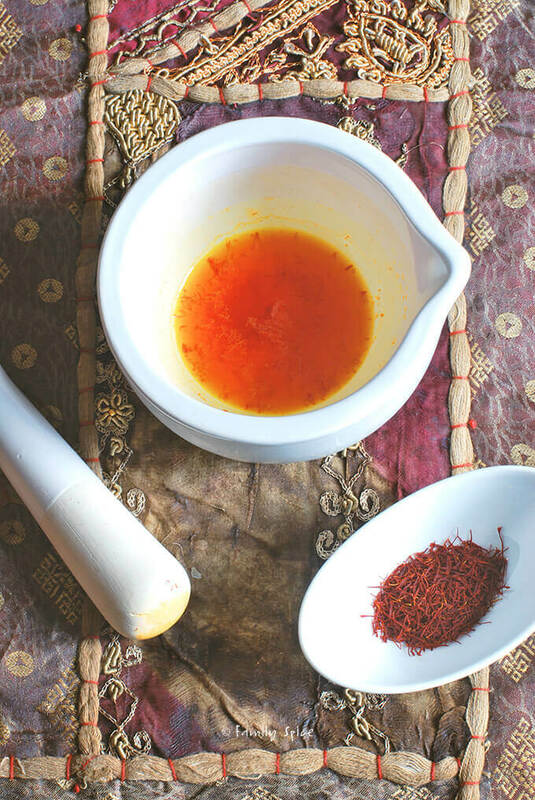 I was very intimidated when I first made chello, as well as any other Persian dishes, as I was a novice. I thought it was complicated. I was intimidated by saffron, too. Most people are since it’s the most expensive spice in the world. 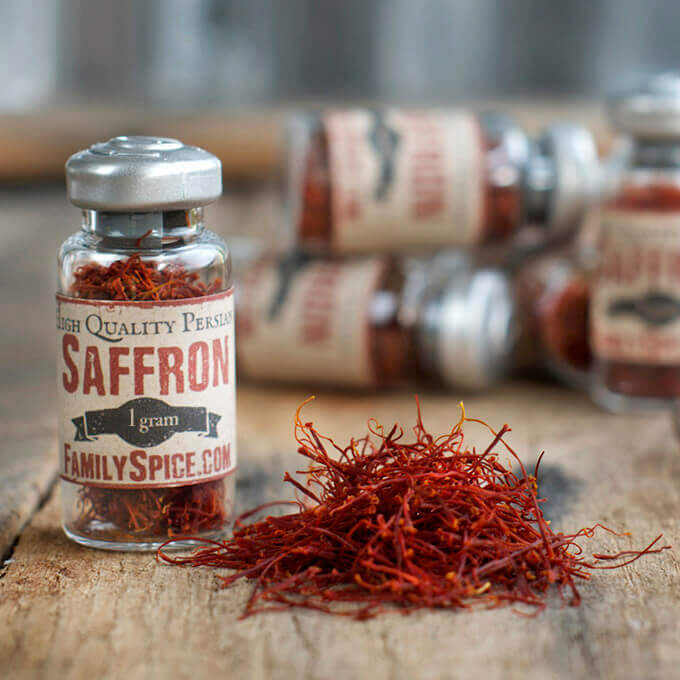 The best way to use saffron is to keep it in its thread form. Then when you are ready to use it, crush the saffron threads with a mortar and pestle. Add some hot water, like a tablespoonful, and let the saffron steep and wait for 15-20 minutes. What you end up with is this bowl of bright orange water. But don’t let that color fool you either! Because when you mix that golden orange water with rice, you end up with some beautiful yellow rice. I love saffron! So, for this post, I decided to do something different. I suppose I’m getting a little bored with the everyday post about a recipe and picture. Today I did a video! I have been wanting to make a video for chello for a couple years now. But, I didn’t want to be in the video myself. I leave the bubbly personalities for my favorite vlogger, Average Betty. She rocks! My technique is a little different, but I’m very pleased with how it turned out. It also features the music of my dear cousin, Emad Bonakdar, who is a genius on the guitar. His music transports me to another world, another time. I suppose it’s my way of meditating. Preparing basmati rice for me now is second nature. I do it without thinking, while assisting with homework or talking on the phone. I wish I could provide you with the aroma that basmati rice brings. The sweet saffron smell. It means home to me, to my husband and to my kids. It is definitely a big, bear hug – comfort food for my family. And if you want to purchase some high grade Persian saffron, I am selling some here for you! In a medium-sized bowl soak rice with water. After washing the rice a third time, rinse and then cover rice with water and add 1 TBS salt. 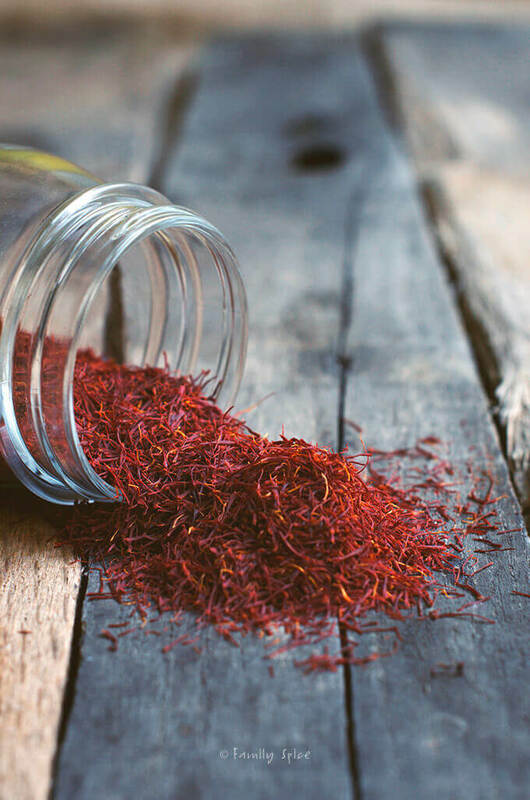 In a small bowl combine crushed saffron with 1 TBS hot water and set aside. In a 5-quart non-stick pot add 8 cups of water and 1 TBS salt and bring to boil. When the water has come to boil, pour out the water in the bowl containing the soaking rice. Add the wet rice to the boiling water. When the water comes to boil again and the rice floats to the top of the pot (approx. 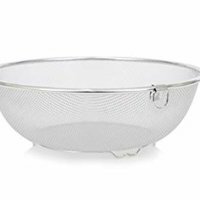 6 mins), pour the contents of the pot into a fine colander. You know your rice is ready to strain if you bite a rice kernel and the center is still uncooked. Return the pot to the burner, set heat to medium and add 1 1/2 TBS oil. If using coriander seeds, sprinkle them on the bottom of the pot, and arrange potato slices over them. Using a spatula, gently scoop the drained rice into the pot. Make sure you do not push the rice in together as this will result in mushy rice. Scatter the rice throughout the pot, in a pyramid shape until finished. Your pot should not be filled to the top. You will need about 3 inches between the top of your rice and the top of the pot. If you must tap the rice off of your spatula, do not tap it against the pot. This will move the rice in the pot and press them together. Tap your spatula against the colander. Using the handle of a long wooden spoon or another utensil, gently press several holes around the rice down to the potato crust. This will allow the steam to travel freely through the pot. Pour the saffron mixture over the top of the rice. Drizzle over the rice with 1 TBS oil. You can also cut 2 TBS butter into small pieces and dot along the top of the rice. To serve, you can place a large round platter over the top of the pot, then carefully invert the pot and remove gently. This will create a cake-effect, with the potato crust showing on top. Or, you can use a spatula to gently remove the rice and scatter on your serving platter, creating a pyramid-effect, placing the crunchy potatoes on top or surrounding the rice. Serving Suggestions: Rice can be served two different ways. First, you can place a large plate over the top of your pot. 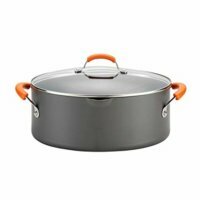 The plate must be large enough to cover your pot with plenty of room to spare. Grab the plate and pot handles and carefully lift the pot and flip it over so the pot is facing down on the plate. Put the plate on the table and gently wiggle and lift the pot up.This method is pictured above. A second option is to use a spatula to gently scoop the rice out and onto the platter. On the bottom you will find the crust (called "ta-dig") and you can place the pieces along the platter (pictured below). Cooking Tips: If you have undercooked your rice during the boiling stage and your rice isn't cooked after 45 minutes, you can add a couple teaspoons of water to the rice, cover the pot again and have the new steam help finish the cooking. If your crust is soggy, leave it in the pot and let it sit under medium-high heat until crunchy. If your crust won't come out of the pot, stick the bottom of the pot in a sink filled with a couple inches of cold water. This will help the crust come out. What do you call comfort food in your family? The word Persian sounds comforting with the idea of spices or dried fruits. And rice, I too think it is comfort food. I love this recipe with saffron! My brother introduced me to Persian food in Wash DC, and to this day I remember a stew with pomegranates. I have been looking for more saffron recipes. This one would be great for my husband because he also prefers white (basmati) rice over brown rice or grains like quinoa. That video was fascinating! And I love the guitar! All of it was beautiful. Thank you so much for sharing! 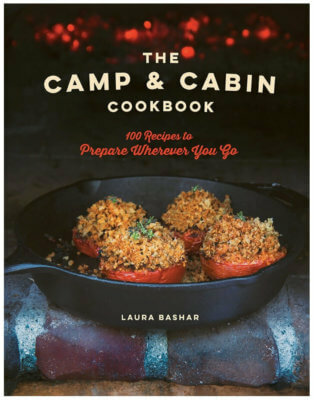 Loved the video, Laura and your recipe sounds amazing! So pretty! Great recipe, great video. I love saffron but don’t use it that much (it’s partially the cost issue, I guess). But I need to make this! Really good stuff – thanks. Oh what a great video, and recipe. Rice is one of my favorites. Isn’t it funny how we associate comfort food with cooler weather? Does anyone have a comfort food they eat in the summer? Your basmati sounds wonderfully aromatic. I can smell it from here! This is one beautiful dish, and the video was so helpful. I can’t wait to try it. Pinned. 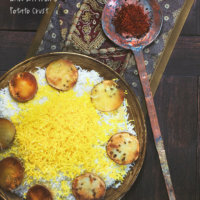 Basmati rice is so delicious, I love the saffron here! Love the video 🙂 ! Now, since I still have a small amount of the saffron I won on your blog left: guess where that is going to go? And I’m truly looking forward to it! Great video! Sophisticated technique…I want this now! Basmati rice is my favourite rice. I keep trying to eat brown rice for the health benefits but it takes ages to cook and is a bit too nutty for my liking. I will watch your video tonight after work. My boss might not appreciate me advertising that I am reading food blogs. I think you did a great job on the video! 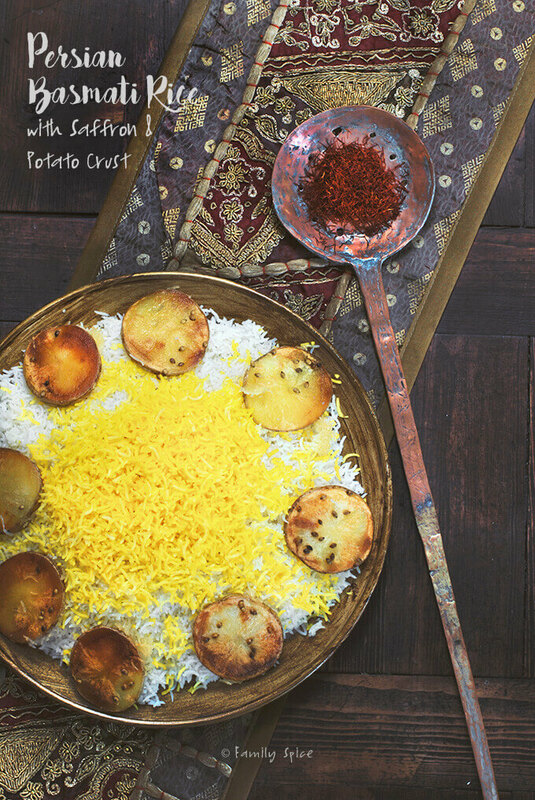 I absolutely need to make this Persian rice. I’m used to the spanish meals containing saffron so I have a deep appreciation for the spice, but it’s interesting to see other ways of infusing it into your food. I hired an Iranian refugee in Knoxville years ago and we became great friends. She had no way to thank me for what I did for her so she cooked her traditional favorites for me. I just loved it all. Laura, this video is absolutely beautiful! I LOVE your cousin’s music! The preparation of the rice was like watching a ballet — so graceful, so artistic, with such a great rhythm. And needless to say, the dish looks so delicious — especially the potato crust! Really wonderful. This is AMAZING! I was absolutely mesmerized from start to finish. And your cousin’s music is incredible. As an avid Family Spice reader, I hereby request MORE VIDEOS!!! Have you tried Armenian rice? We went to an Armenian restaurant and they add allspice and some of these little noodles in their version. We are basmati lovers all the way! Laura, you did a FANTASTIC job on making this video! I’ve been hearing how long it takes to shoot AND edit. You did it so perfectly that I wonder if it was a lot of work? 😉 Rice is comfort food for us too. 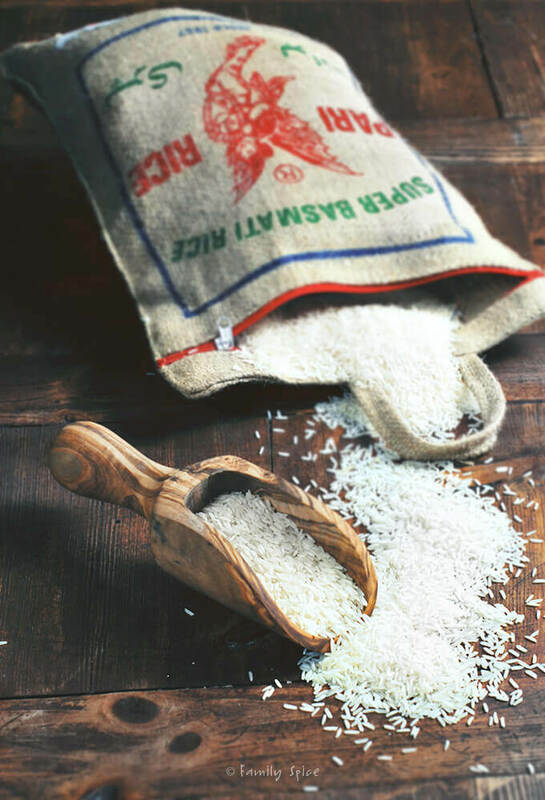 It’s the most important dish in our cuisine and we really care for high quality rice. I enjoyed the music in the background too. I feel I need to eat saffron rice! I love my Mac and iMovie made the editing pretty “easy” for a beginner. I completely muted the sounds in post-production, music is easy to import, too. There are great transitions you can choose from. My only issue was the text and the best way to show it. I might have to rework that! Gracias por su pregunta. Las semillas que utilizo en el video son semillas de cilantro. Son opcionales, pero ofrecen un gran sabor y aroma si los agregas.